The lake is 1,527 feet (97-percent full.) One angler caught a 9.8-pound largemouth bass on an Aabama rig. 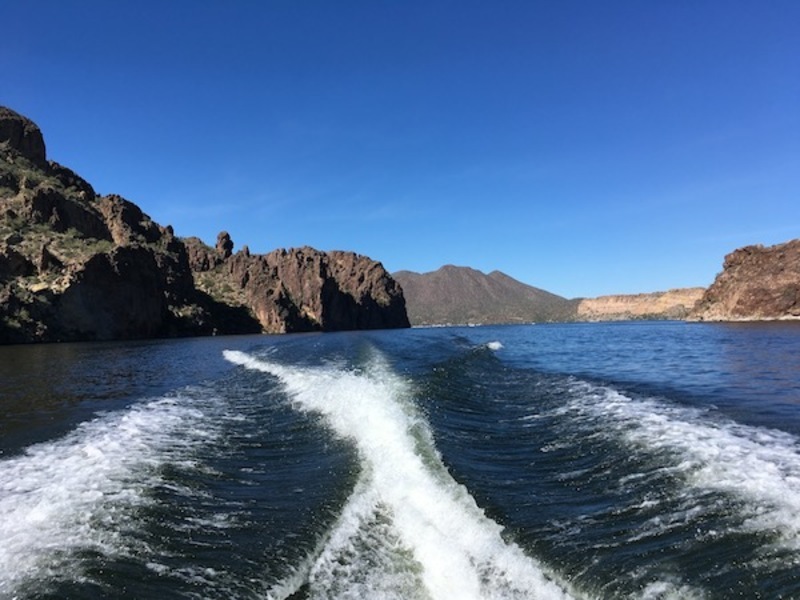 The bite tends to really take off when Salt River Project is doing a pump-back (releasing water and then pumping it back for hydroelectric power), which creates a current. At those times, there is a tremendous top-water bite. Also work the edges of the grass in 10 feet of water using dropshots for bucketmouths. Anglers have been having more success with the recent trout stockings throwing trout imitation swimbaits for big bass. Also try working the edges of the grass in 10 feet of water using dropshots for bucketmouths.